Understanding the formation of bubbles and the contagion mechanisms afflicting financial markets is a must as extreme volatility events leave no market untouched. Debt, equity, real estate, commodities… Shanghai, NY, or London: The severe fluctuations, explained to a large extent by contagion and the fear of new bubbles imploding, justify the newly awaken interest in the contagion and bubble dynamics as yet again the world brazes for a new global economic upheaval. Bubbles and Contagion in Financial Markets explores concepts, intuition, theory, and models. Fundamental valuation, share price development in the presence of asymmetric information, the speculative behavior of noise traders and chartists, herding and the feedback and learning mechanisms that surge within the markets are key aspects of these dynamics. 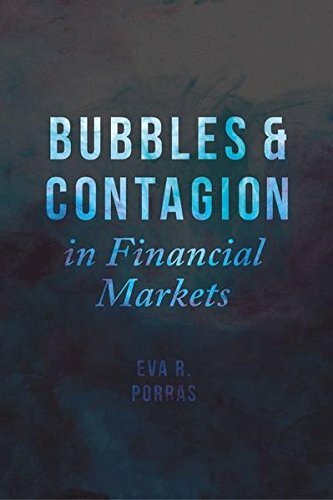 Bubbles and contagion are a vast world and fascinating phenomena that escape a narrow exploration of financial markets. Hence this work looks beyond into macroeconomics, monetary policy, risk aggregation, psychology, incentive structures and many more subjects which are in part co-responsible for these events. Responding to the ever more pressing need to disentangle the dynamics by which financial local events are transmitted across the globe, this volume presents an exhaustive and integrative outlook to the subject of bubbles and contagion in financial markets. The key objective of this volume is to give the reader a comprehensive understanding of all aspects that can potentially create the conditions for the formation and bursting of bubbles, and the aftermath of such events: the contagion of macro-economic processes. Achieving a better understanding of the formation of bubbles and the impact of contagion will no doubt determine the stability of future economies – let these two volumes be the starting point for a rational approach to a seemingly irrational phenomena.